Iowa is home to three universities that offer master's in communication programs. Across the state, communications students have the choice between online and on campus degree programs with professional concentrations available in public affairs, brand communication, information technologies, corporate communication and many others. Online programs may be particularly appealing in as rural a state as Iowa because online programs allow students in remote areas to take courses from home without having to make a lengthy commute to campus. As the nation's largest producer of corn, soybeans, pork and eggs, many communications graduates in Iowa may find work in the agribusiness and innovation sectors, as well as in Iowa's other top industries such as healthcare, financial services or advanced manufacturing. Read on for more details about the master's in communications programs available in Iowa. The University of Dubuque offers a Master of Arts in Communication program in a traditional on campus format. What to Know: The Master of Arts in Communication program offers three program concentrations for students to choose from, including Leadership and Management Communication, Strategic and Corporate Communication and Information Technologies Communication. What Does It Cost? : Current tuition costs for the master's in communication program are not available online, so be sure to contact the Office of Financial Aid for the latest course fees. Anything Else? : The University offers flexible course sequencing, fall, spring and summer courses as well as evening courses for working professionals in order to make the program as accessible as possible. The program can be completed in two years of evening courses or as quickly as one year of full-time study. The University of Iowa offers two options for master's-level communication degrees: an online professional program and an on campus master's to doctoral program in Iowa City. What to Know: The on campus Master of Arts in Communication Studies is primarily a doctoral program but does occasionally admit students for a master's degree. What Does It Cost? : For the 2018-2019 academic year, the cost for the online program is about $1,500 per course for tuition and fees. 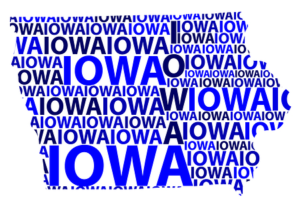 For the 2018-2019 academic year, graduate level tuition and fees is estimated at $5,667 per semester for Iowa residents based on a 9-credit hour semester, and $15,138 for non-residents. Anything Else? : Application deadlines for the online program are July 15 for the fall semester, December 1 for spring and April 15 for the summer. The application deadline for the on campus program is January 1 for a fall semester start. Drake University in Des Moines offers an online Master of Arts in Communication program that can be completed in one year. What to Know: The online Master of Arts in Communication program is a 33-credit program that allows students to select from three professional tracks, including Brand Communication, Communication Leadership and Public Affairs & Advocacy. What Does It Cost? : The current cost for the Master of Arts in Communication program for 2018 is $650 per credit hour. Anything Else? : With multiple course starts and six-week terms, the program is designed to be completed in as little as one year of study. The online Master of Arts in Strategic Communication program offers courses that meet online once per week in the evenings. Some online courses may also schedule classroom time for students who live in the Des Moines or Iowa City areas. Learn more about University of Iowa’s communication graduate programs here.